I was very excited when I caught wind that St Moriz were releasing a rapid self tanning mousse. With full time work I struggle to have the energy to apply tan mid week and I am certainly not fond of setting my alarm to ring 10 minutes earlier than 6am so that I can rinse off my tan. The 'Fast Self Tanning Mousse' allows you to get the glow in just 60mins - perfect for spontaneous evenings out or if you are planning to wear those frayed, denim shorts when the weather heats up. This tanning mousse gives you the freedom to personalise the darkness of your tan, leave it on for 1hr for a light glow, 2hrs for a medium glow and 3hrs or more for a deeper tan. The formula contains olive milk and vitamin E to help banish dry skin and applies smoothly and light to the skin. I like to leave my tan to develop for the maximum time to achieve darker results as I am naturally a relation of Casper. 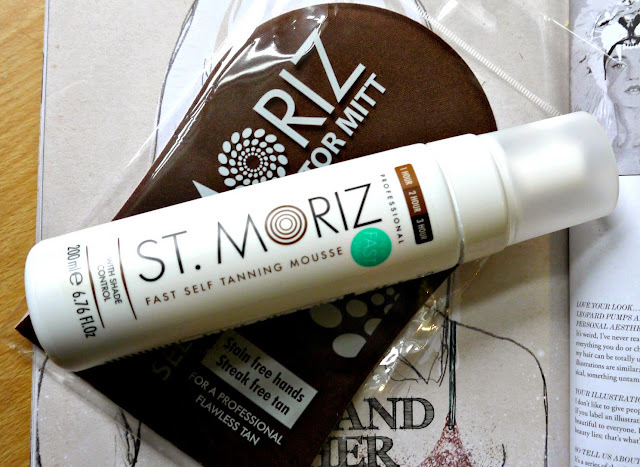 I think this was the right next move for St Moriz to continue to rein the budget tanning market. You can purchase the 'Fast Self Tanning Mousse' for £5.99 (watch those prices creeping up SM) at Boots and other beauty supply stores.